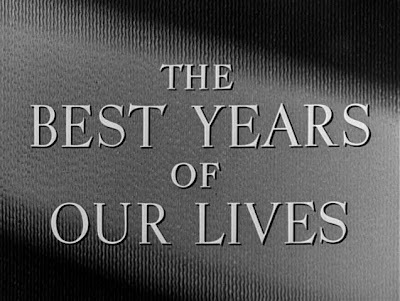 I started this list with a William Wyler film (Ben-Hur) and I might need to see some more of his work (notably Wuthering Heights, Mrs. Miniver and Funny Girl) after watching his only other film that made this list: the Best Picture winner from 1946, The Best Years of Our Lives. Holy cow, I did not expect to be so moved and thrilled by it, mostly because I had very few pre-conceived notions. I knew it won best picture, and that it was almost three hours long. And maybe it was about WWII vets. But that's it. Just goes to show: movies can always surprise you. And sometimes it's better not to know anything going in. The payoff is so much greater. Company: alone, although of course now I wish I had made this an event. Cuisine: obscene amounts of coffee. This was a gloomy Monday and yet somehow I was on fire all day focus-wise. Hmm. 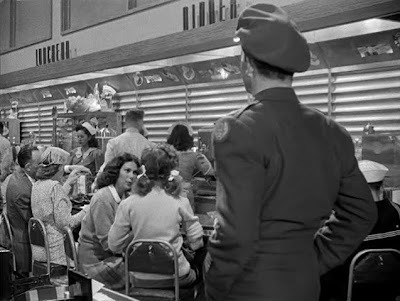 Wyler opens on what would have been present-day America: U.S. soldiers arriving back on their homeland after World War II. Three servicemen (Oscar winners Fredric March and Harold Russell, plus Oscar snub Dana Andrews) meet while hitching a ride back to their hometown, the fictional Midwestern hamlet of Boone City, Ohio. Homer (Russell) is the first to get home, and although his family has been warned, it still comes as quite the shock to see that he has lost both arms at the wrist in an accident. 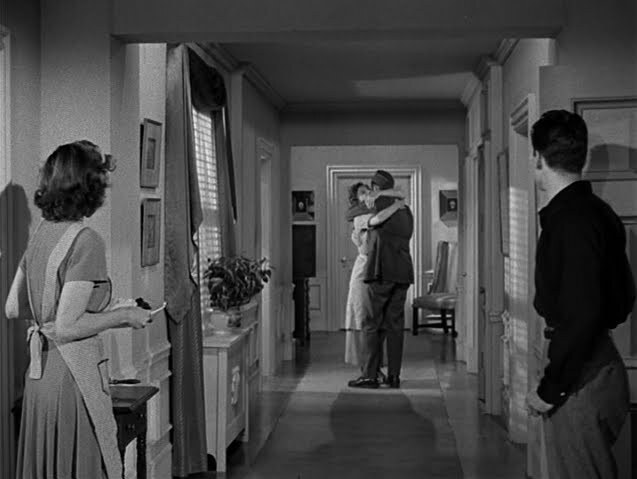 His beloved Wilma (Cathy O'Donnell), who lives next door, rushes out and hesitates, like they all have, but embraces him just the same. Somehow the emotion of this reunion had me misting up -- and we were 15 minutes in! 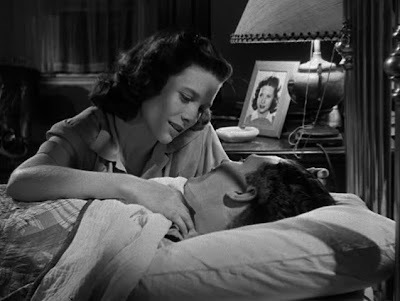 Al Stephenson (March) is the second to arrive home, to his wife Milly (Myrna Loy) and two children, now grown (Michael Hall and the luminous Teresa Wright). There's such overwhelming joy in these reunions we see, but there's something in them that threatens to tip the scale: excitement almost to the point of trepidation and fear of returning, that somehow this domestic life these servicemen knew is now more foreign to them that the battlefield. 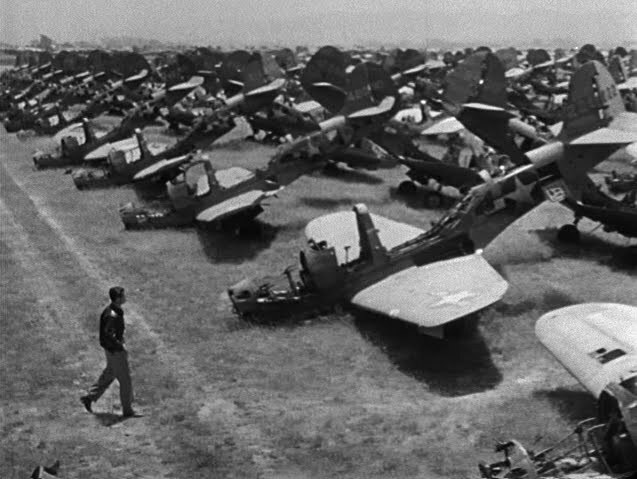 Hugo Friedhofer's glorious score undersells the schmaltz of these reunions, hinting that this is the happiest these men in uniform will be for a while. Al finds his wife somewhat distant and his children strangers. "It's terrible to be old, isn't it?" quips his wife, who tries to make light of his absence but ends up separating her husband even further from his family. I guess I expected these servicemen to feel far away because of PTSD, but for them, the true obstacles lie in getting back to everyday life. 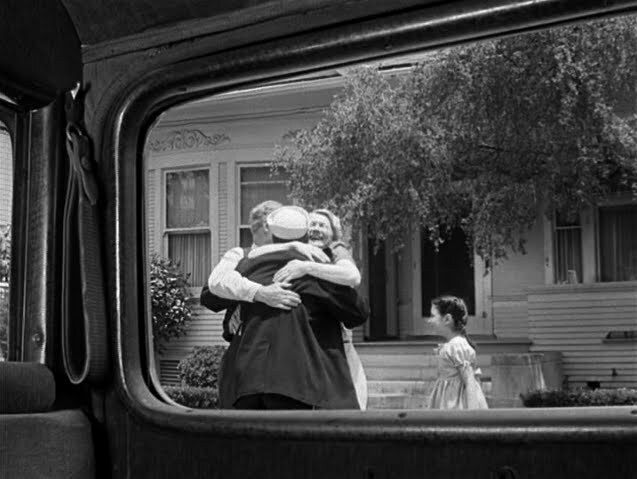 The third soldier, Fred Derry (Dana Andrews), comes home unable at first to find his wife Marie (Virginia Mayo), whom he met and married days before he was deployed. He comes home to find he doesn't know her (not that he ever did), and that she's moved out on her own, waiting impatiently for him to come home. 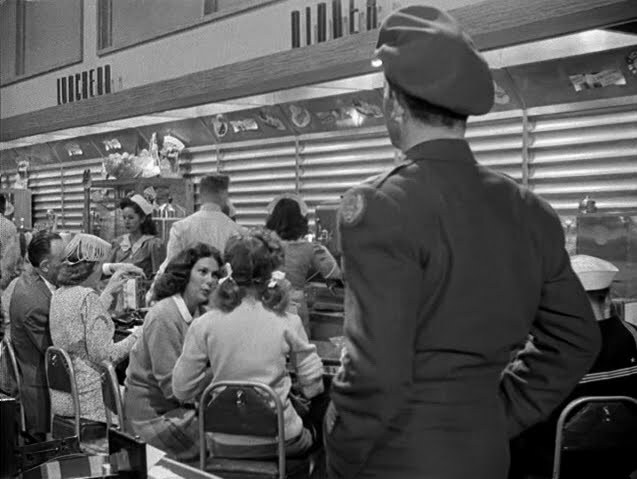 If that wasn't enough, his old job as a soda jerk is no longer available, meaning he has to start over from scratch. One bitchy salesman whispers "Nobody's job is safe with all these servicemen crowding in," making it clear that some people aren't so thrilled that the boys are back in town. 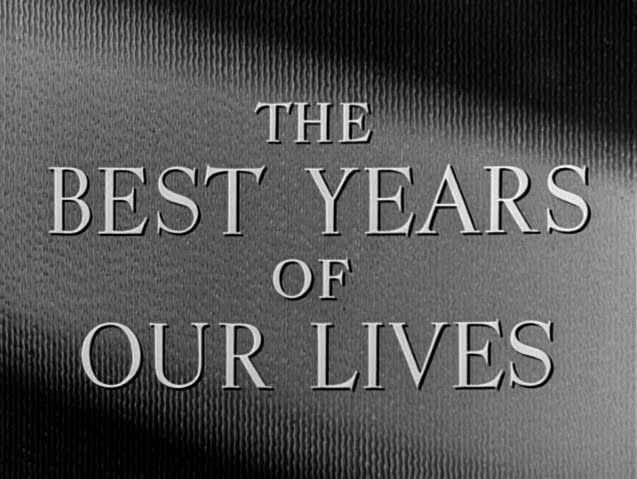 The film follows these three men and their struggles to fall back in love with their families, their wives, their girlfriends, and their country, one that owes them so much and at first can't deliver "the best years of their lives," as it were. The great legacy of the film, I think, is due partially to the fact that each of these three stories is given equal weight, even as their stories give, take from, and weave in and out of one another. Fred begins, by chance, to fall for Al's daughter Peggy as he grows further and further from his new bride Marie. Al has a new outlook on his job as a small loans officer, looking with a fresh eye at the intentions of entrepreneurs. Homer, while adjusting well to life with his new hooks, discovers the crucial things he can't do alone, e.g. putting his harness back on in the mornings, or opening a door in the night without the harness. Each man is changed greatly by war, and the film chronicles their journeys to acceptance of what's changed while (and because) they were away. Take Fred, whose wife insists he put his Army digs back on to go out on the town. "Now you look wonderful," she exclaims. "You look like yourself. Now we're right back where we started!" Of course, she'd never seen him in civilian clothes, and all through their marriage she'd only known an image of him in uniform. He begins to drift away from her but still feels obligated to stay with her given her sacrifice while she was away. When she and Peggy meet in the powder room while the friends are out one night, Wyler frames them in the above shot as if to say there are two Peggys are work here: the supportive friend and the secretly-in-love-with-your-husband self-proclaimed homewrecker. Love that shot. And the one below. Has a man ever looked so alone and out of place in his own home? It was around this point that I started to see this film as a good twin to Michael Cimino's The Deer Hunter, which examines recently-returned vets of the Vietnam conflict. In that film (30 years after this one), Michael, Stan and Nick deal more with their own political and moral demons about the nature of war than Al, Fred and Homer, but both films follow each of their three heroes (or anti-heroes, as the case may be) through their own version of post-traumatic stress. It'd be an interesting comparison to examine more. Each story ends happily, but the papers warn of a "new war" coming. It was 1946 and I can't imagine the writers could have anticipated the Korean War a few years in the future, but perhaps we're meant to take away that even the largest-scale conflict of the 20th century could not heal all wounds, that inevitably aftershocks occur. But at least for now, there's a little peace, a deep breath before the plunge. In the last moments one character mentions that life will be a struggle, that it could be years before they can get ahead... so perhaps the titular years are yet to come. Wow. I just loved this so much. I did not anticipate that at all! My faith in this list is renewed. Or maybe my passion for it is reignited. I'd been nervous that with spring approaching I'd lose interest, but hopefully now I'll have renewed energy to power through the last third of the list. Up next: one that I've (shamefully) Netflixed and returned without watching. Whatever, you guys have done that too. From 1957, another war film: The Bridge on the River Kwai. Wow, this sounds awesome. I'm going to take your review as a recommendation and check it out soon. I just found your blog, and I enjoyed your comments very much. I love this movie and have always thought that its dramatic and visual merits exceeds its schmaltz. 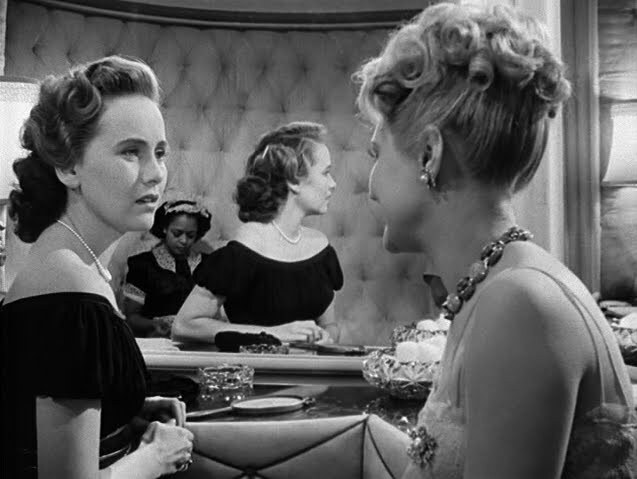 I like your point about the way the music in one scene underplays the possibly cloying emotion. You could say the same about where Wyler puts the camera (inside the cab) to shoot the reunion scene when Homer returns home. He also resists the urge to put in a close-up when his parents look at his hooks for the first time (as he waves goodbye to the cab). The bedroom scene between Homer and Wilma is partly shot with their backs to the camera, which I've always thought downplays the potentially syrupy emotion. 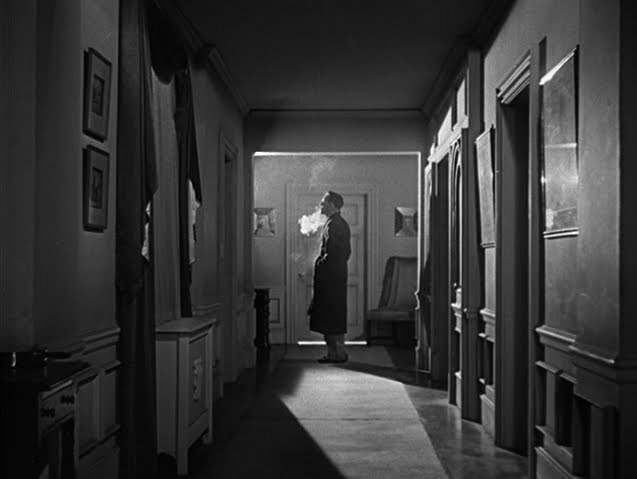 I like William Wyler.